Directions: From I-25 take Harmony Road west all the way to Horsetooth Reservoir. Continue on CO Rd 38E and follow signs to the Horesetooth Mountain Open Space Parking Lot and Trailheads. Horsetooth Mountain is a very popular open space area, deservingly so. The park has some 29 miles of trails used by both hikers and mountain bikers. Horsetooth Falls is definitely a main attraction but there are so many other areas to explore that the park seldom feels crowded. This loop visits Horsetooth falls, then climbs to the top of the falls and the Spring Creek Trail, returning via the Soderberg and Horsetooth Rock Trails. From the trailhead, start switchbacking up the western slopes of the mountain to a pass. Make a right at this trail junction and descend down to Spring Creek. Follow the creek through evergreen forest and rock formations to a junction. From here go straight to the base of the falls. After you've spent some time enjoying the falls, go back to the junction and follow the trail up to the top of the falls. After a short diversion to the top, backtrack to the Spring Creek Trail. Follow the Spring Creek Trail through open meadows and past rocky outcroppings back to Spring Creek. Cross the Creek and pick up the Soderberg Trail. This trail will take you back to the east through pine forest with views down to Horsetooth Reservoir. 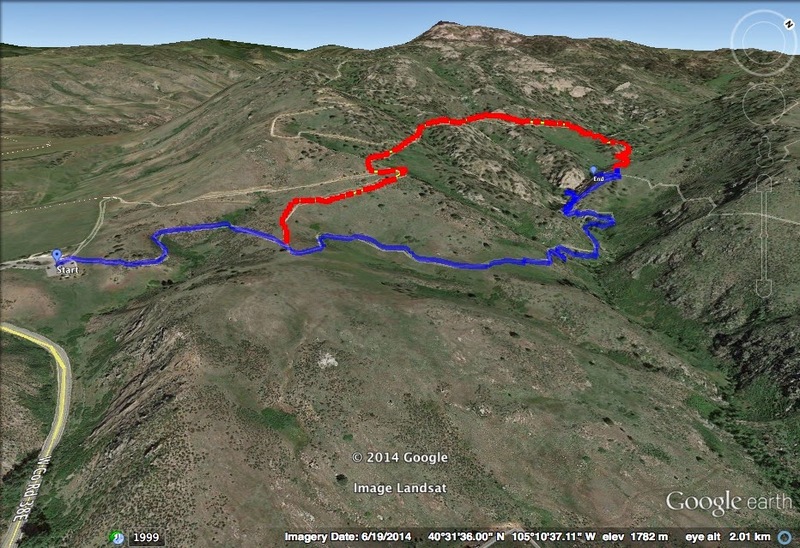 Pickup the Horsetooth Rock trail, make a left and head back to the parking area.